DCmud has a nice article about some planned mixed-use development by the Donohoe Development Company in the woodmont triangle area. 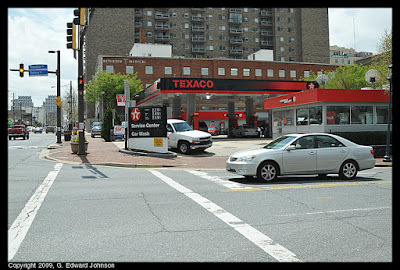 It will be in several phases, the first of which is at the corner of Wisconsin Avenue and Battery lane, where there is currently a Texaco gas station. This will be replaced with office space and ground floor retail space. Construction hasn't yet started and won't be complete until late 2012.